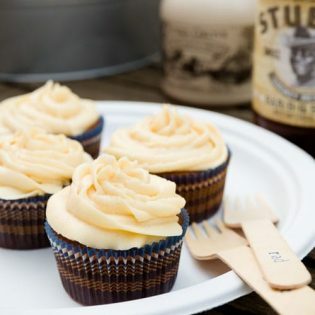 Today Stef from Cupcake Project is sharing one of her unique cupcakes recipes, just in time for Memorial Day celebrations, she made BBQ Maple Syrup Cupcakes!! Stefani is a fellow St. Louisan who started her blog to document her adventure in baking cupcakes for a friends wedding. She spent three months creating a different flavor each week so that the bride and groom could choose three of their favorites. Cupcake Project grew in popularity and People Magazine learned of Stefani’s “Pickle and Ice Cream” cupcake and featured it in the April 2010 issue. 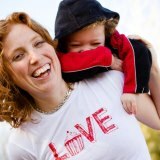 She had created the cupcake in 2009 to announce that she and her husband were expecting a baby! I just love Stef’s creativity and unique recipes, and I know you’ll enjoy her as well!! If you’re ever in need of a cupcake recipe, she’s your girl! 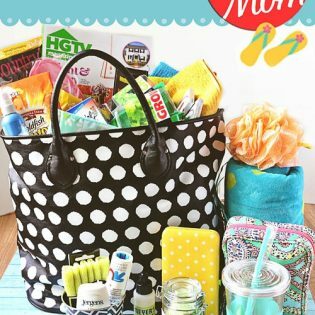 I was thrilled when she agreed to take the reins here on TidyMom while we’re moving to our new house! 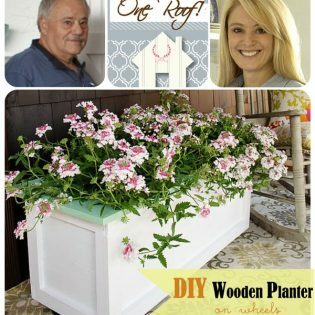 Hi, TidyMom readers! I’m Stef from Cupcake Project, a food blog where I create new cupcake recipes (I have over 200 cupcake recipes! ), a sprinkling of recipes for other baked goods and savory dishes, ingredient and technique spotlights, and baking-related product giveaways. My cupcakes range from basic (like the Ultimate Vanilla Cupcake) to downright bizarre (Cupcakewurst). Since Cheryl and I both live in the St. Louis area, I’ve been privileged to get to know and love her. I’m excited to announce that she has accepted my invitation to speak at this August’s Food Media Forum, a conference for established and aspiring writers, professional and amateur photographers, bloggers, marketers, and anyone else who considers themselves “food media”. I hope some of you will be able to join us and meet Cheryl and me! Cheryl asked if I would share an original cupcake recipe with you and I’m thrilled to do so! I get my cupcake inspiration from everything around me. In my world, anything can become a cupcake (e.g. rice krispee treat cupcakes, tiramisu cupcakes, and crème brûlée cupcakes). On a visit to Little Goat Diner in Chicago, I fell in love with a French toast topped with BBQ maple syrup, and I knew instantly that the combination was going to make its way into one of my cupcakes. 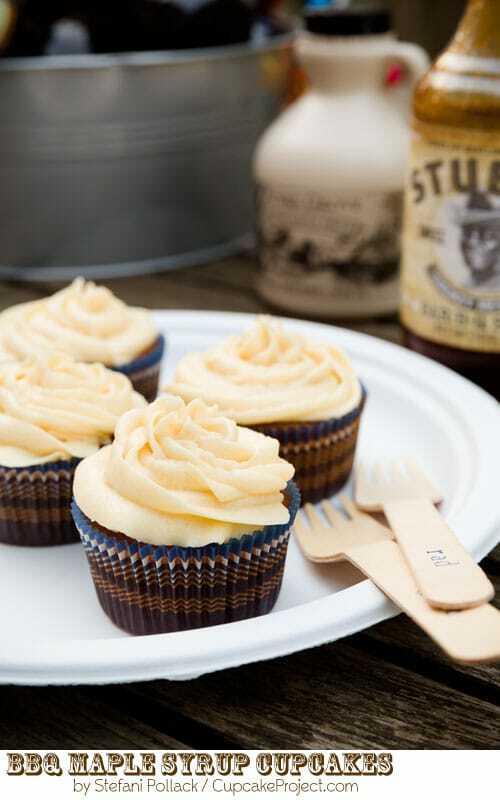 Biting into a BBQ maple syrup cupcake, you’ll first taste maple – especially because the cupcakes are topped with my favorite maple buttercream frosting. Soon after, you’ll taste the familiar finger-licking flavor of a good BBQ sauce. It’s an unexpected combination, but one that will pleasantly surprise you and can serve as a fitting end to any cookout. You'll taste the familiar finger-licking flavor of a good BBQ sauce in this unexpected cupcake combination, but one that will pleasantly surprise you and can serve as a fitting end to any cookout. In a medium-sized mixing bowl, mix maple syrup, BBQ sauce, flour, baking soda, and butter until fully combined. Mix in water until fully combined. In a medium-sized mixing bowl, beat butter until light and fluffy (about 3 minutes on high speed). Stefani Pollack is the author of the popular cupcake blog, Cupcake Project. While she loves simple chocolate cupcakes, Stefani prefers creative cupcakes inspired by her favorite flavor combinations. She encourages her readers to branch out and experiment in the kitchen. Why cupcakes? They bring out the kid in us! Holy smokes!! These are the perfect treat for Memorial day! Hi Stef, nice to “meet” you Cheryl…Wow! Stef you have really out done yourself with these but then you never cease to amaze me with your cupcake creations! I love this. BBQ is my favorite. I would love to try these. Those look fabulous Stef! I love the picture. I’ll have to go check out all of your other (200!) cupcake recipes. Mmm what a fabulous idea!! These look awesome! Definitely a very unique and wonderful flavoured cupcake. These are so unique!! Love! I want to make these for a family barbeque this weekend! This sure is something different and fun 😉 Thank you! I am a huge fan of maple syrup and love to use it in baked goods. These cupcakes look so pretty and delicious! It’s not ofte you fing a BBQ cupcake recipe! I’ll have to try this! IKR!! I haven’t heard anything like this before. Food recipes are becoming liberated these days. A BBQ cupcake Wooosh! Anyway, I’m fond of ice creams it’s my favorite! I’ll try to figure out a way on how I can incorporate BBQ to ice creams. In an Asian country, they used chillies for ice creams, haven’t tried that though but I would love to, I’m excited to experiment on a BBQ Ice Cream Cake! This would be the perfect thing for a Memorial Day bbq! Wow, what a seriously amazing flavour of cupcakes!!! These cupcakes look great. Very interesting combo! What an awesome cupcake recipe! Wow – those look incredible! Thanks for the yummy recipe! Such a unique cupcake, sounds fabulous!! What a super-fun flavor combo, LOVE this for a fun BBQ!